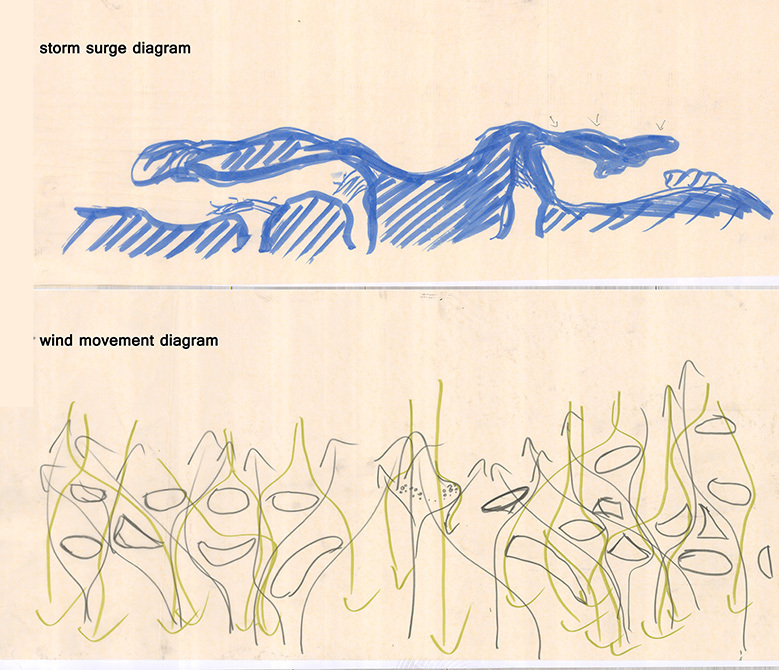 In the third-year landscape design studio, students learn to consider the arrangement of buildings, circulation, and other landscape design elements. 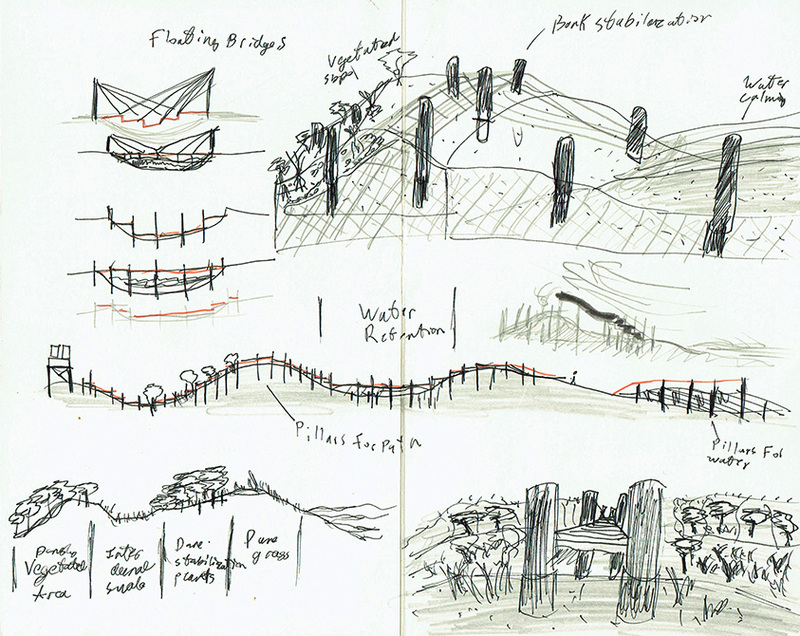 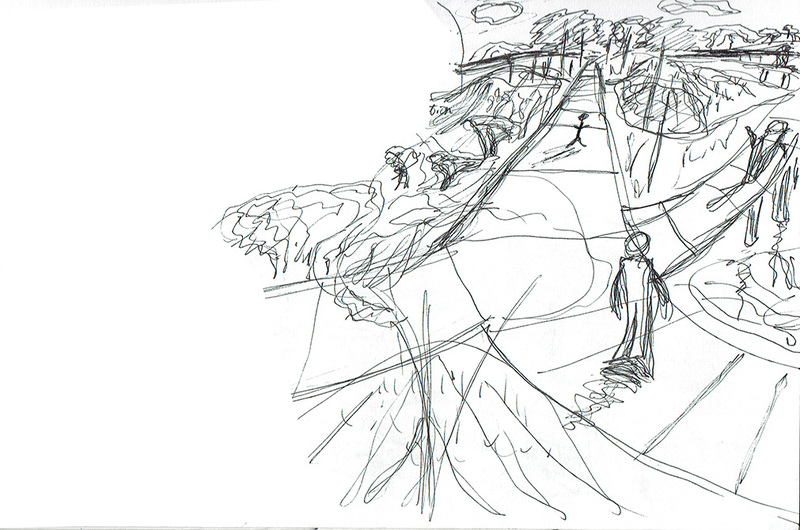 Studio topics emphasize earthwork and drainage. 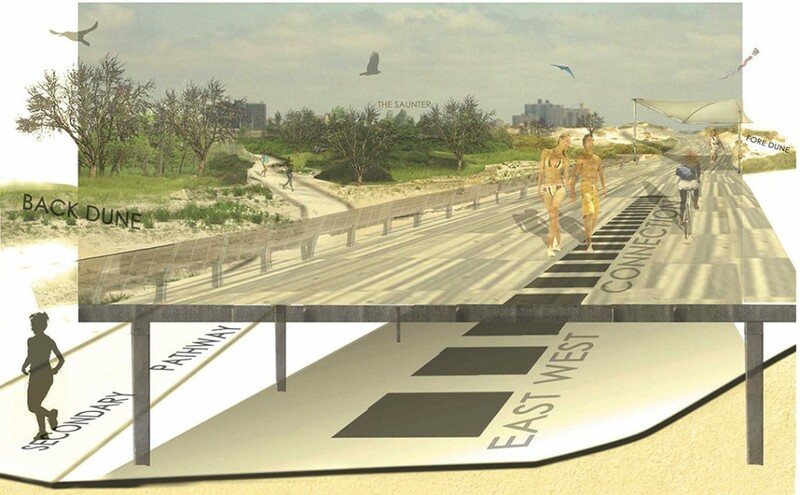 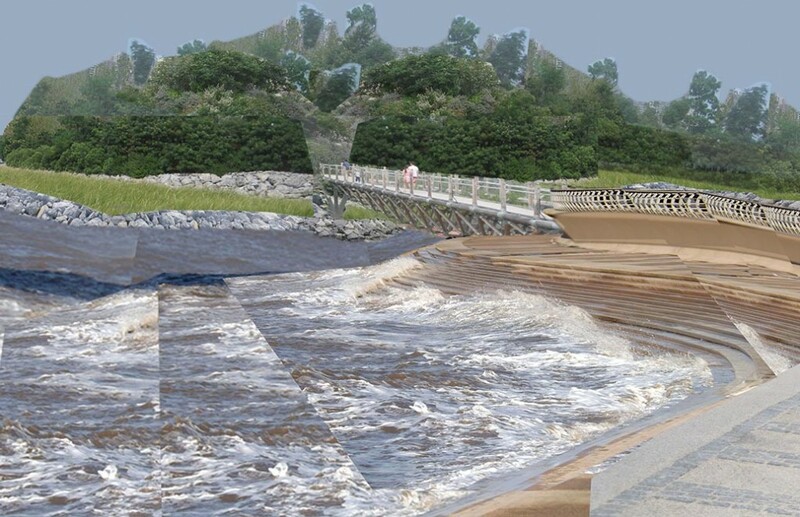 The fall 2013 “Shifting Sands” studio explored site design strategies for New York City’s barrier beaches where coastal and urban systems converge, overlay, and instigate new scenarios. 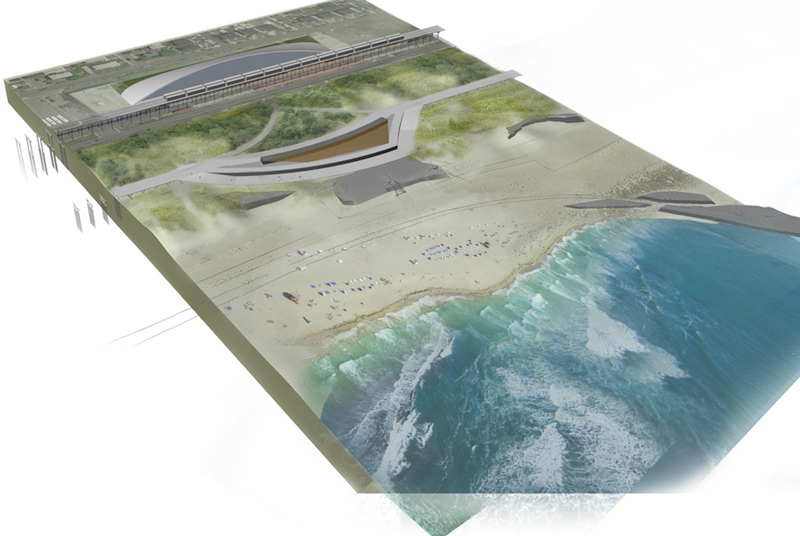 New York has a long history of urban beaches from the wild spectacle of Coney Island to the master-planned expanses of Robert Moses’ Jones Beach. 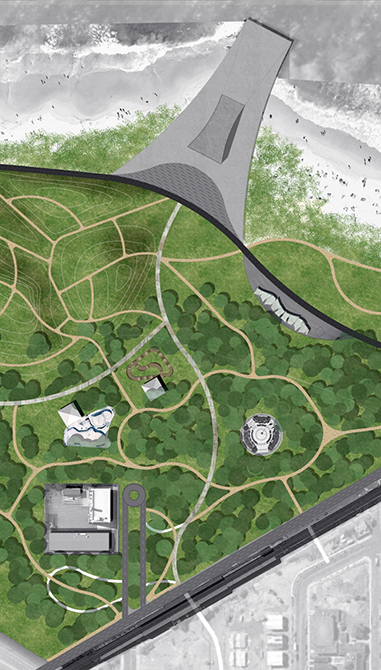 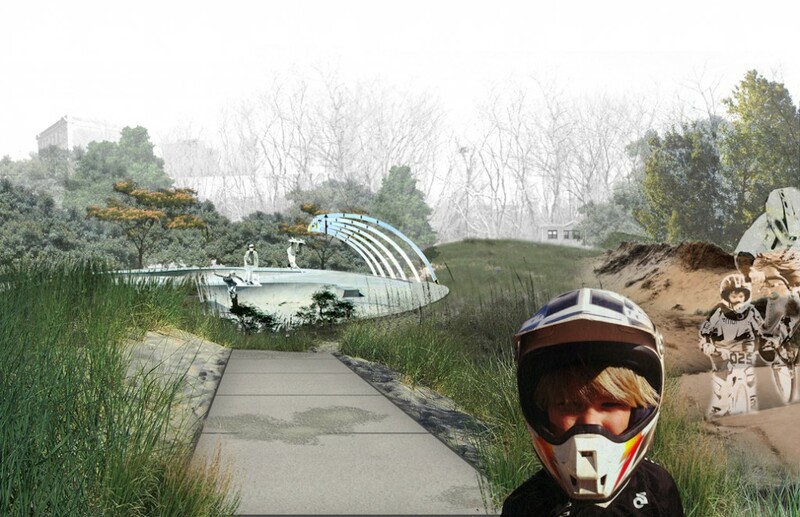 The Shifting Sands studio builds on this legacy and speculates on the role of beach parks in the city of the future. 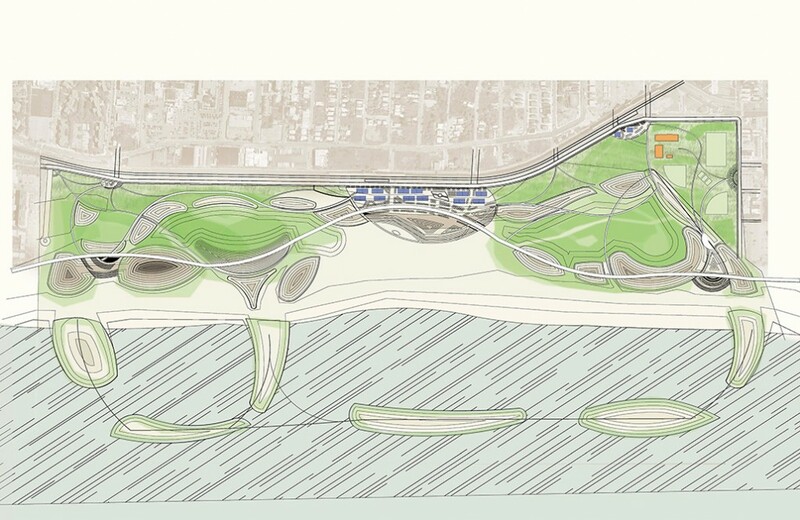 The studio focused on site design for more than 80 acres of undeveloped oceanfront property between 32nd Street and 56th Place, south of Rockaway Beach Boulevard in Far Rockaway, New York. 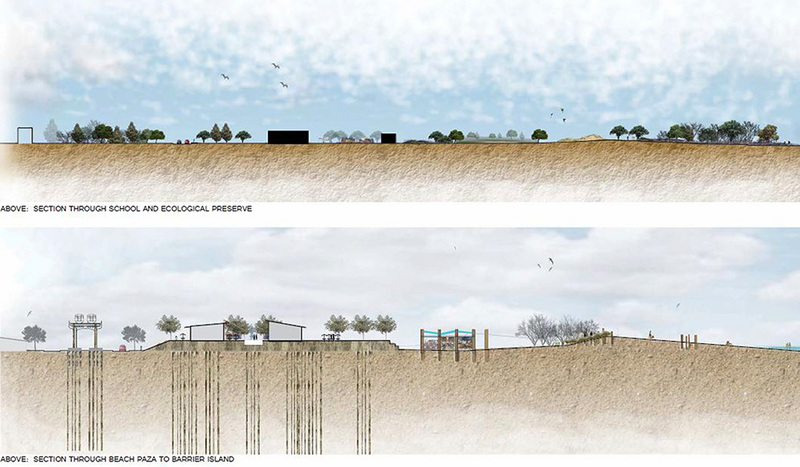 This site is the largest parcel of subway-accessible beachfront remaining in the city, representing an important resource for city residents, New York’s ecological networks, and a highly sought-after development parcel. 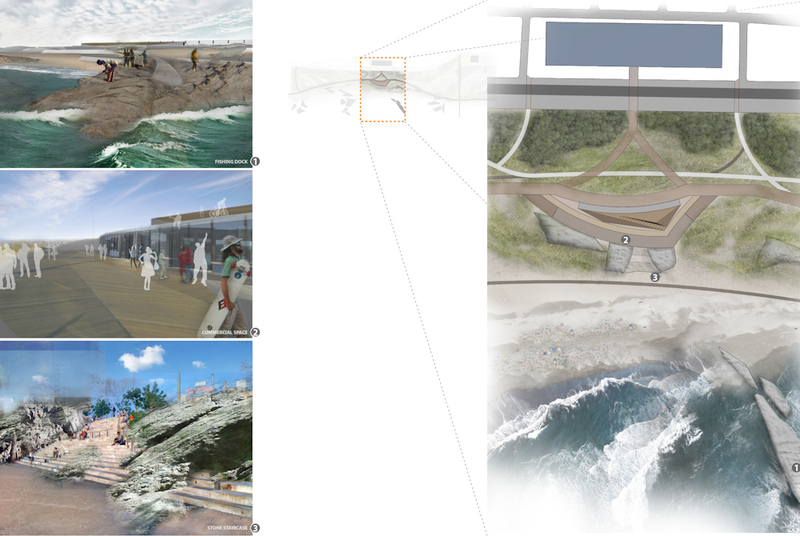 The study of these landscapes mediates the complex relationships between coastal and urban systems, creating opportunities for innovative site strategies to respond to global problems.